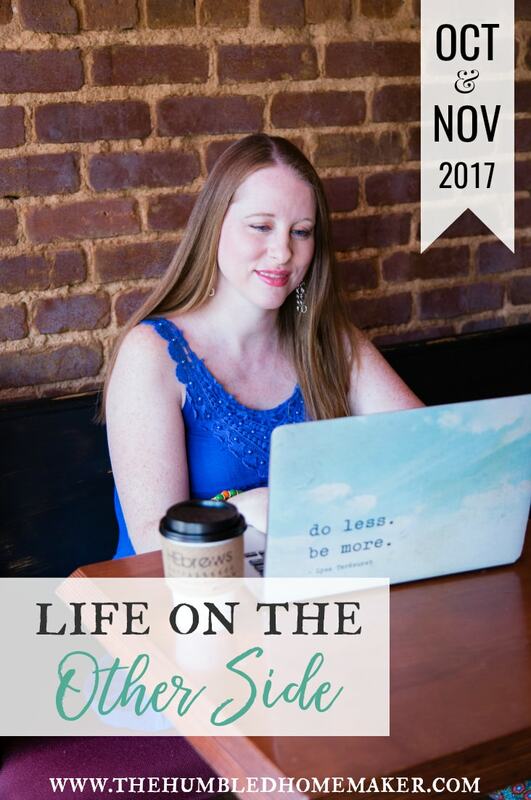 I’m so excited to bring you the very first edition of “Life On the Other Side,” a new monthly feature where I will share tidbits from my personal life–books I’m reading, shows or movies I’m watching, things I’m enjoying with my kids, and what I’m learning. I hope you’ll enjoy these posts and share some of your “life on the other side” moments in the comments as well! Without further ado, check out some of my favorites from October and November! This is one of the best books I’ve read in a long time. It’s one that I read, then went back and re-read several passages with pen in hand to underline and make notes! 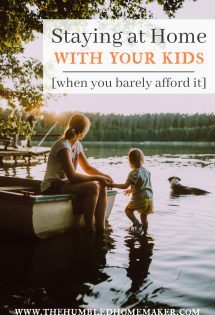 As the mom of 4 young children, I was immediately drawn to Why I Didn’t Rebel. I believe we must prepare for the teenage years when our kids are young. 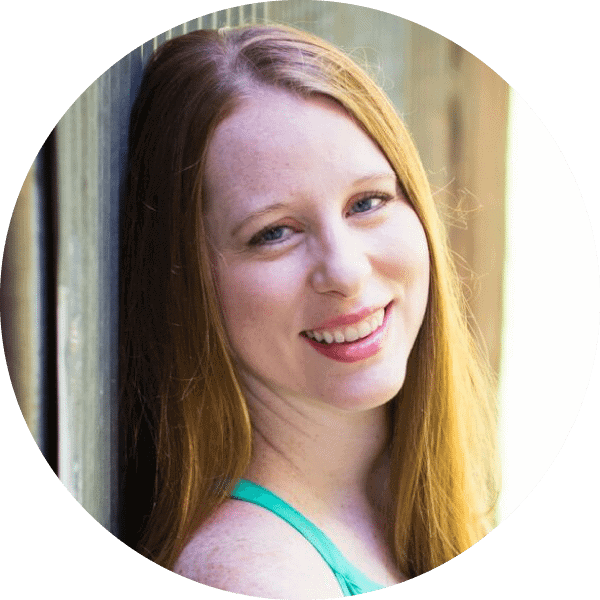 Like the author, Rebecca, I didn’t rebel–and neither did my siblings. I hadn’t been able to put my finger on why, though, until I read this book. My experiences as a child and adult were very similar to Rebecca’s. 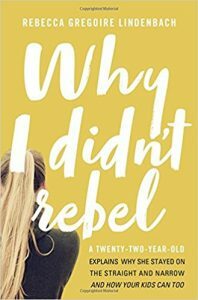 While this isn’t a sure-fire formula to prevent your kids from rebelling, I definitely think Rebecca’s personal experiences, the experiences of the 25 young adults she interviewed, and her research all backs up that following the principles laid out in this book will help parents foster homes where rebellion is less likely. 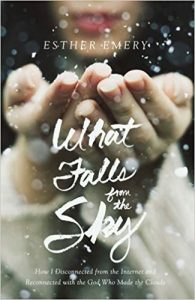 I truly hope this is the first among many books by Rebecca Gregoire Lindenbach. 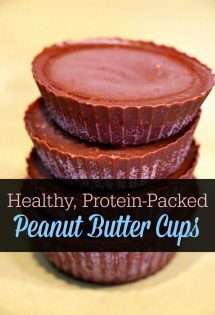 I know that I, for one, will be buying them! Be on the lookout for a full post with more on what I learned in this book. 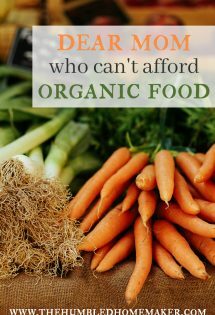 I had never heard of this author or this book before Tsh at Art of Simple posted about it when there was a kindle deal. I love memoirs, but I’ll be honest in that it took me about five chapters to really get into this book. But just when I nearly abandoned it, it really got good. It’s nothing like I imagined it would be, but it’s a really honest, well-written memoir. 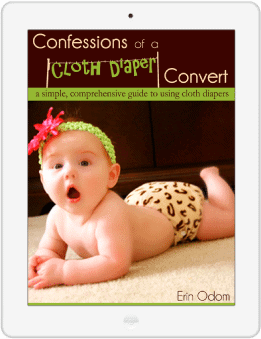 The last I checked, the Kindle version of this book was just $2.99! Get it here. You know you’re getting old when your happy mail is a book about pre-menopause! Ha! 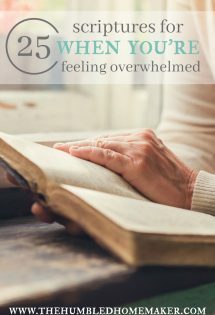 In all honestly, I started feeling my hormones shifting in my mid-30s, and I’ve had some symptoms since my cycle returned that I’m working to address. I just started this book, but, so far, I really like what I’m learning. 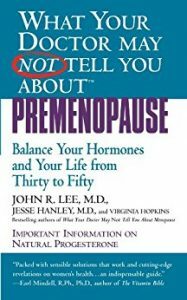 This book is geared toward women who might be even two decades before starting menopause…yes, even women in their early 30s could benefit from reading it. I’ve had some minor thyroid issues off and on since my second daughter was born over 7 years ago. Someone recently recommend this book to me. The premise is that the majority of Americans are iodine deficient. While I’ve been enjoying this book, I think it needs to come with some cautions. 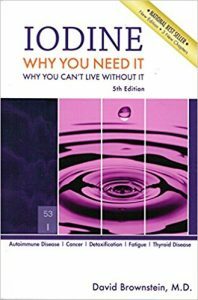 The author seems to think that iodine is the be-all, end-all supplement. I’m just not so sure. 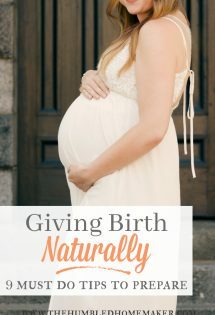 I’m seeing a naturopath later this week, and I’m going to discuss this book with her. As with everything, I think it’s best to do our own research but to proceed with caution and under the supervision of trained healthcare professionals. 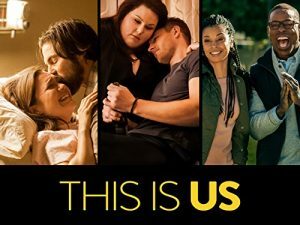 I don’t watch much TV or movies at all, but I’m loving This is Us. I got into it last year, and it’s one that I never miss. We don’t have cable, so I watch it the day after it airs on Hulu. I also finally finished season 1 of The Crown on Netflix, but I’m not sure if I will watch season 2 or not. I love learning how royals, but, y’all…for some reason I’ve fallen asleep during every.single.one of the Crown episodes! I think it might be time to move on! I rarely ever go to movies, but I took the girls to see the highly-anticipated Wonder over the weekend, and, y’all: I LOVED it! 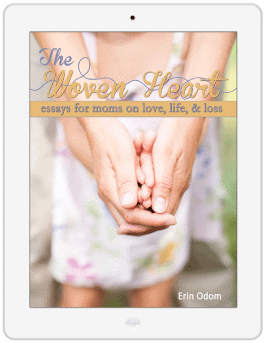 Years ago my husband Will and I heard the authors of Parenting is Heart Work speak at a local church. We only had one child at the time (the child who is almost 9 1/2! ), so it was at least 7 years ago. 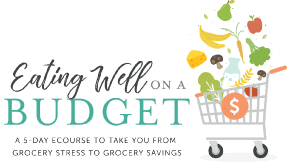 We were very impressed with the talk, and I’ve been following the authors and getting the newsletter from their online Biblical Parenting University ever since. I’ve been taking their e-course BPU 101: Developing Responsibility and Cooperation in Children . Although part of me wishes I had taken this course a long time ago, I’m excited for all I’m learning now. In fact, I feel my girls are now at the perfect ages–9,7, and 5–to really put responsibility and cooperation into practice! On the not-so-deep side, I learned a little keyboard hack for those with Mac computers. If you press control + command + space bar, the emoji keyboard will pop up! This makes is so much easier to insert all kinds of emotion into posts.? ? ? I purchased the Elite Blog Academy e-course way back in 2014 when it was a brand new course. The creator, Ruth, has made a TON of updates over the years, and I’ve just now gotten a chance to begin listening in on the modules for 3.0. 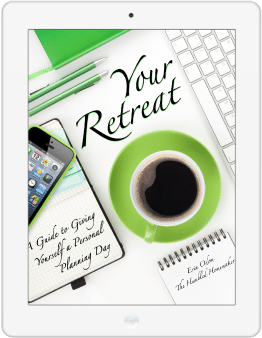 It’s really good stuff for professional bloggers! Unfortunately, the course sign-up is currently closed, but you can sign up here to be notified when it re-opens. 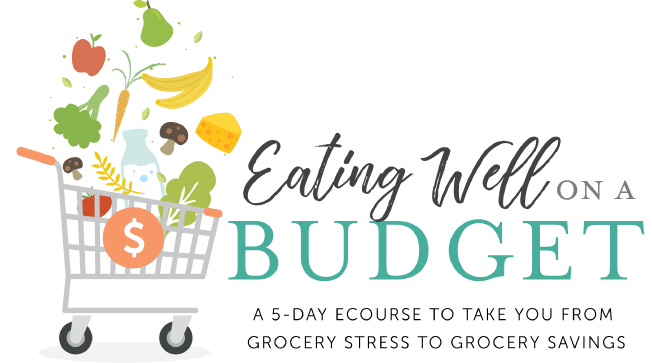 I will say that this course is REALLY pricey and is NOT for beginning bloggers. You need to at least know the basics of how to set up a blog or be taking another course that will show you those ropes. 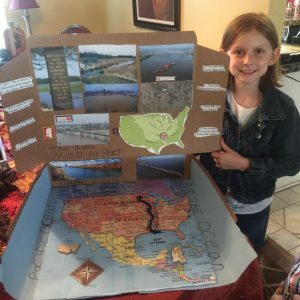 My girls attend a university-model school, which means they attend classes three days per week, and I use teacher-prepared lessons to homeschool them the other two days. Although each day is a challenge, I am LOVING homeschooling them this year. Yes, it means that we see slower blog growth. Yes, it means that my time to do a lot of other things is limited. But I wouldn’t trade getting to teach the two days/week for anything. My oldest in 3rd grade, and I’ve been geeking out over her curriculum this year. She’s studying botany in science, and we’ve done all kinds of plant collections and experiments. In history, she’s studying Ancient Rome. She’s read some amazing novels. And she’s writing just like I did in third grade. Homeschooling makes me feel like I get to do school all over again! My 1st grader is still learning how to read, how to add and subtract, and she’s been studying American history, and about bat habitats! And since my girls’ childhoods seem to continue speeding along, we registered “baby” girl for kindergarten couple weeks ago! 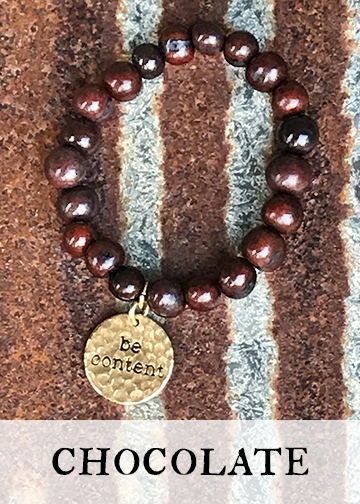 As well, I’m LOVING these “Be Content” bracelets from our store. Contentment is a huge theme of my book, More Than Just Making It, and I love how wearing this bracelet reminds me to be content no matter our season or station in life. Now, enough about me.Tell me–what’s life been like for you on the other side of the computer screen? Share in the comments or shoot me an email. I would love to get to know you more. 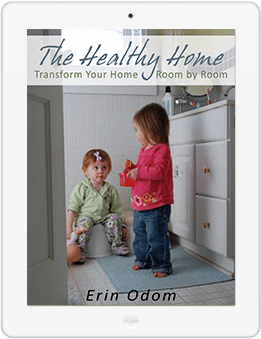 I love the glimpse into your personal life Erin! We saw Wonder over the Thanksgiving break and we (myself, 10 & 8 yrs) loved it. I agree that it’s one I could definitely watch again. I’m in the middle of two books… StoryBrand by Donald Miller and Absolute Power by David Baldacci. Miller’s book puts a lot of things on my to-do list, so that’s happening in small chunks. Baldacci is my escape from reality, lol. I’ve been in physical therapy, trying to heal an injury so I can run again. After 2 1/2 weeks, I ran one mile without pain! That’s a win in my book. I’m looking forward to the continued recovery. I can’t wait to read Storybrand! I’m so glad you’ve found some healing for your injury!! I have heard the Why I did Not Rebel book mentioned a few times now and will have to grab it some time. I’m glad you have this feature now as I really missed the one that you had called weekend reads. That book is SO good! I missed Weekend Reads too. I considered bringing it back, but I’m afraid I would not be able to get a post up each weekend…so I hope this will be second best!